This certainly did nothing to make me feel any younger. 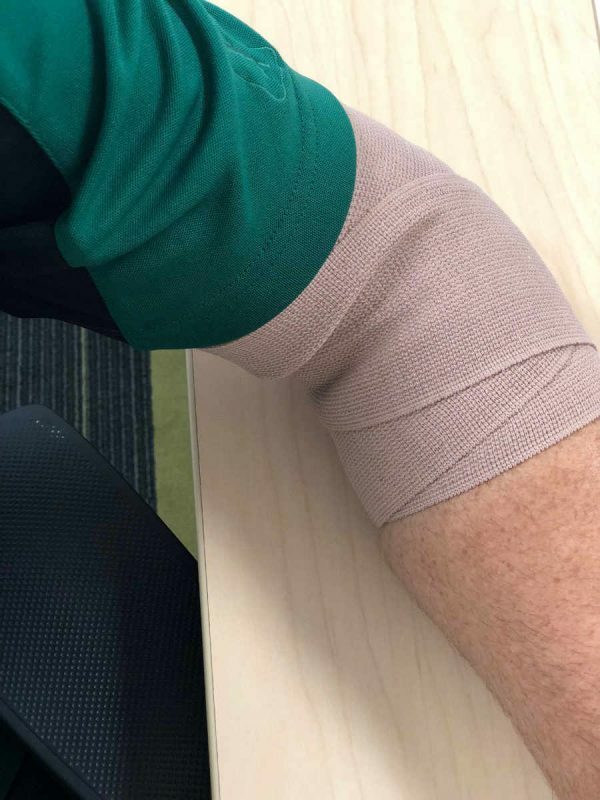 A few days ago I started to feel some pain in my elbow. I don’t play tennis so I was wondering what the hell it was. I just pushed through the day and thought I might have just hit it strangely. It hurt like hell though. After a night of little sleep I just got out of bed at 3am and searched the interwebs for the answer. It did not take long to figure out what it was. A quick search of “elbow swelling” brought the WebMD immediately. It was exactly what I was feeling. I did not know what a Bursa was, but dammit, it was hurting something fierce. 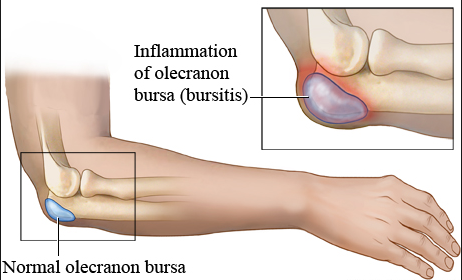 Evidently, the bursa is not just in the elbow, it is also in the shoulder, hip, knee and achilles tendon. I spend a lot of time at a hard desk and there was a good chance that I could have hit it at just the right spot to give it irritation. As our joints age they are less tolerable to the same level of activity that we want to do. The thing that really got me was how hot my arm was. I wish that I took a picture of it. it was huge as well. I had a little bit of concern at this point, but also noted is that this is far from life threatening. There are some basics that came up. First is to stop doing what you did to get here. Well, that would be easier is I knew what I did. So I moved on. The next thing that you can do is to take care of the inflammation. It was recommended to take an over the counter anti-inflammatory or NSAIDS. I know these as they really work well for me for pain. It is also know from the brand name of Aleve. Just like every other drug there are long term side effects, but I take medicine so rarely, I ramped up the dosage to the max. They are not good on your stomach though. I also put on cold compress through out the day. Took that awesome little pouch of ice right on my desk at work. It felt great..well, better. The swelling was going down as well. After a few days, it really did not change much and I really could not tell if the paid was going down as I was taking the medicine. So I stopped. The area was really tight too. I know that this sounds strange, but if you look at your elbow, and pinch the end. Skin will come up and you can hold it. I could not do that on my elbow. This concerned me. So I started on my path to get to the doctor. I am not a big fan of doctors. My blood pressure goes through the roof as I am worried they are going to find something and I will die. Yet, I can stand in front of a crowd of 5,000 people and give a talk. Go figure. In the picture to the left you can see what is happening. Normally that pointy thing on your end of the elbow is really small. It wills swell up and become very uncomfortable as you can see in this picture. If infection gets in there, it could go really bad so I made the decision to go to the doctor. My wife was amazed. I call up the doctor that my wife uses. See, I have not been to a doctor for probably 7 years. Not since my intestines stopped working. (long story for a different time) So when I called them, I had to go to them, fill out some forms, hand them in, they would call my insurance company and find out if I could go, and then come in for a visit. Are you kidding me? This is our healthcare? I told my wife to pick up the forms on her way back home as she was closer to their office. She promptly forgot. So the next day I went into the Minute Clinic at CVS. I was into their care in 9 minutes. Yes, I timed them. When she looked at it, she immediately said that she could not help, but started dialing a number to get me into a shoulder, elbow and hand doctor. She got me an appointment in less than a minute and in the same day. I have insurance so that was covered, but the point was why could I not get that from my general practitioner? So I fill out their forms ahead of time online. This made it super nice to not have to hand write it all out and probably helps them so they don’t have to type it into their system too. The site was HTTPS so that made me feel at least a little better about security. Appointment was at 3 and I got into the room at 3:15 and saw the doc at 3:25. I guess you cant change everything. Nice guy, showed genuine interest in what I do for a living. Making chit chat as he was doing exactly what needed done. I explained everything and while that was happening, he was getting needles out. I knew what that was. He was going to drain it. So he put a little numbing in there first, then proceeded to take out 75mL of fluid. To me that seemed like a lot. He even said so. He then put in a little cortisol. Then wrapped it up and I was off. I felt a lot better knowing that a doctor saw it. Made it feel a lot better too. It did cost me $176 which I thought was reasonable as he did use 5 needles, some cortisol, and a bandage wrap in addition to his time. Proper chair posture can help prevent this, but nothing can stop it 100%. Hope you don’t have to go through it, but if you do, get some cold compress, Aleve, Tylenol, and see the doc in about a week if it does not improve. You will be good to go. 12/13/18 Update:The inside scar tissue can still be felt and it is still noticeable. This is 2 months after the initial damage was done. The healing takes time and you must be patient and careful. I re-injured it once and after that I put the bandage back on. You must keep it wrapped for at least a month. Keep the the cold compresses going as well.